ON WEDNESDAYS, WE WEAR PINK! Y’all, I think this might be one of my favorite outfits I’ve ever worn! 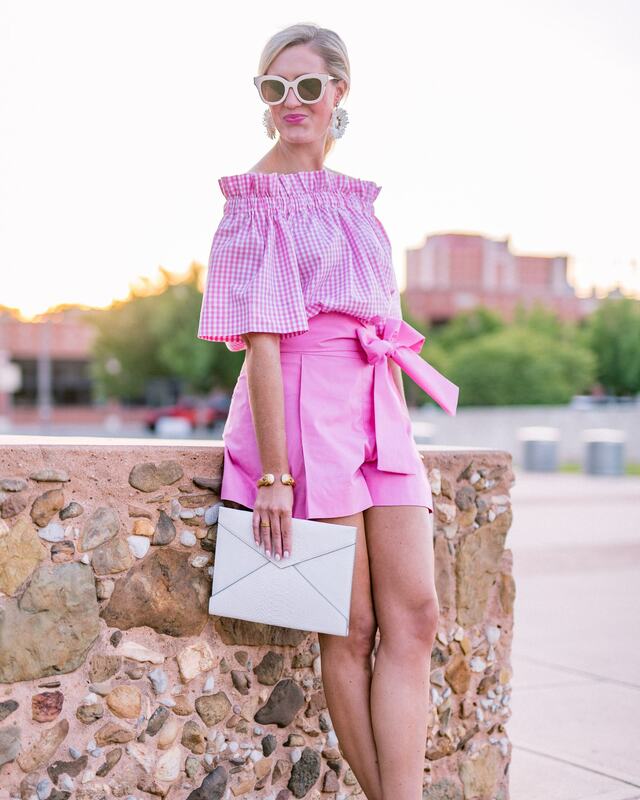 Pink – check, gingham – check, bows – check, ruffles – check!! I’m so in love with this Collyn Raye off the shoulder top! If you’ve never heard of her boutique on Etsy, she has the cutest preppy clothes! This adorable gingham top comes in 7 colors and runs true to size based off her sizing chart (X-Small 0-2, Small 4-6, Medium 8-10, Large 12-14, X-Large 16). 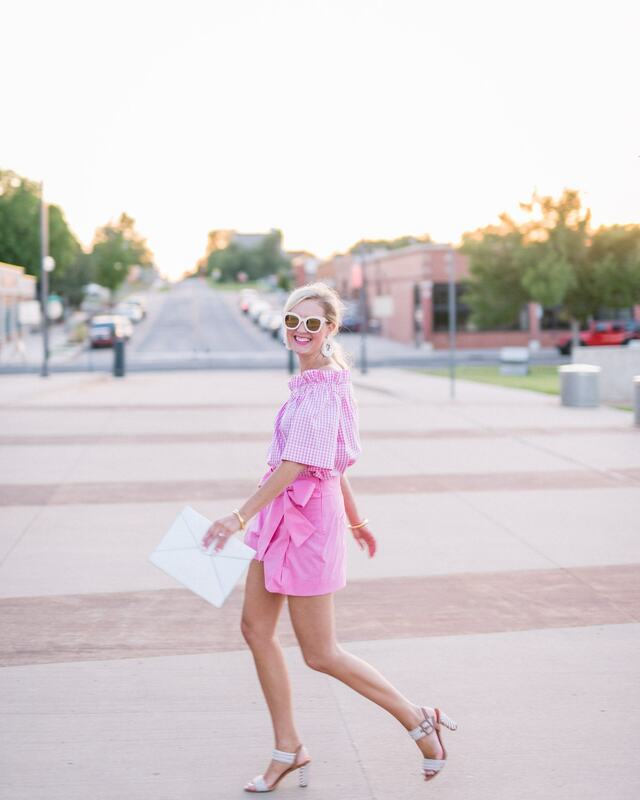 I paired this OTS top with these tie waist pink shorts! I’m obsessed! They run true to size and also come in a variety of colors (white, black, blue and white stripes, floral, and pineapple). I’ve linked some of the other options below!